To start reading Cortázar, maybe it would be prudent to avoid Rayuela, a novel that was described by Jose Saramago as being "in constant movement". It is impossible to stop it, as it is vast and to a certain degree, infinite. If we continue Morelli's reading recommendations maybe we would never finish reading it, perhaps because it can diverge into many combinations without getting anywhere. In a way, the novel does not try to write itself, but be unwritten. When language can no longer describe reality in its complete dimension it might as well be destroyed, or reborn. Language seems to say little of what we truly want to express, or in other words, it plays tricks and limits us to think within the constraints of its structure. Perhaps it would be prudent to avoid Rayuela until we have navigated through Cortázar's literature and leave the demolition of the traditional novel for the end. ​One of the many ways to read and enjoy Cortázar is through a ludicrous and humorous lens. It is not a coincidence that Cortázar enjoys Lope de Vega's poems, where the poet mocks the structure of his own writings. There is something in the game that makes Cortázar create stories of imaginary beings. Unexpectedly during the intermission in a theater in Paris, the idea of Cronopios arose. These green creatures that he imagined floating like balloons, whose specific characteristics are so different from the Famas, another of Cortázar's creations. From that point on, the aphorisms became a part of his mind, a playful delight in a fantastic world full of humor. "Un cronopio pequeñito buscaba la llave de la puerta de la calle en la mesa de la luz, la mesa de luz en el dormitorio, el dormitorio en la casa, la casa en la calle. Aquí se detenía el cronopio, pues para salir a la calle precisaba la llave de la puerta." To understand this style of writing, we have to acknowledge that to be able to play, a world has to be created, a board has to be set, all characters placed in a specific position, and a list of established rules needs to be in effect, even if they seem irrational. Every game obeys a unique order and set of logic. Maybe that is why Cortázar talks about the structures of his short stories as perfect spheres, symmetrical and equidistant from their center. It is impossible to exit the closed system. In a sense, Cortázar was the perfect short story writer, creating precise and brief works that resemble a sphere. On the other hand, when he wrote Rayuela, a novel that is antagonistic in itself, there was a discontinuity in his style of work, from perfection to liberation, from the set of rules to defragmentation, the anti-novel once proposed by Lawrence Stern and his Tristam Shady, was renewed. ​We could try to decipher Cortázar, but it may take forever, like one of his stories: a snake that bites its tail, or like a hopscotch game. Just when somebody gets to touch the sky, it might be too late, "se acaba de golpe la infancia y se cae en las novelas... en la especulación de otro cielo al que también hay que aprender a llegar." Nonetheless, if a last instruction of how to read Cortázar has to be proposed, it well could be to be able to question ourselves constantly and open up our minds to other possibilities, perhaps with no final answer. Cortázar's literature is full of interrogations. He does not seem to give answers, but questions; he does not solve, but initiates reflection. He opens the door so we can find a question mark on the other side. Cortázar did not want to share anecdotes, but stories that would always remain in the memory of the reader. Rayuela is written for a committed reader, who is confronted with an option instead of following a set path proposed by the author. The game is unchangeable, the writing is fixed and published, but the possibilities for the reader to play with the writing are infinite. Cortázar was a master in his craft. An accomplished writer who requires to be read and reread. The author demonstrates that literature is endless and that the instructions to read him can only be a ludic title that would only take us to the impossibility of following it, since there is no correct way to read Cortázar. He would have preferred for the reader to throw his book out the window before following a manual. 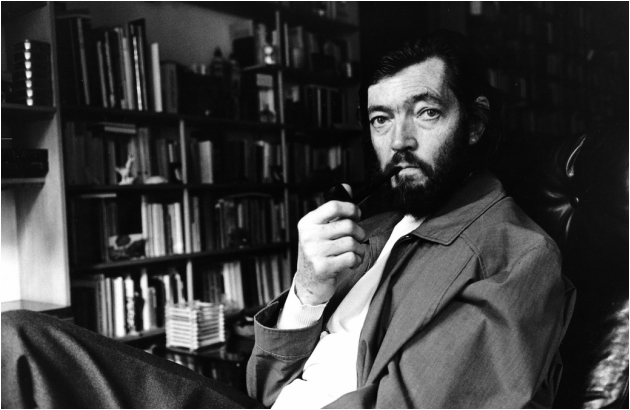 However, if literature is unpredictable, boundless, and just like life's biggest perplexities... a questions mark, maybe the best instruction to read Cortázar is to have a profound affection for Literature.